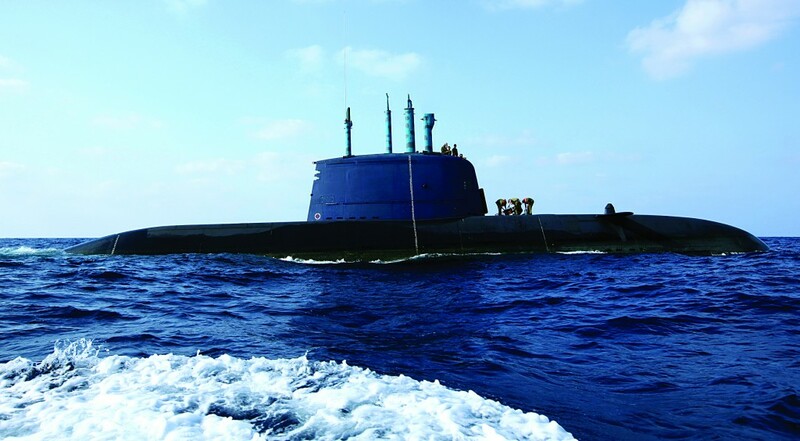 The signing of a contract between Germany and Israel for the acquisition of submarines and other naval equipment, set for next week, has been indefinitely postponed by the German government, Yediot Acharonot reported on Tuesday. The postponement is due to concerns by the German government over the sprouting influence-peddling and corruption scandal surrounding the purchase, in the so-called Submarine Affair. Israel is set to purchase several German Dolphin-class submarines — among the most advanced in the world — in a deal that was approved by Israeli and German defense authorities; but the German authorization was given last month on condition that it be corruption-free. Police, the Justice Ministry and the State Attorney have been investigating allegations of corruption in the purchase. Last month, six individuals — including several top former government officials — were questioned in the matter. Prime Minister Binyamin Netanyahu has not been considered a suspect in the case until now. Among those who have been questioned have been David Shimron, an attorney who represented ThyssenKrupp’s interests; ThyssenKrupp representative Miki Ganor; and Eliezer Marom, former Commander of the Israeli Navy. According to allegations, Shimron and Ganor pushed Marom and other defense officials to order the company’s Dolphin-class submarines. The case was upgraded to a criminal investigation earlier this year. The Yediot report comes in the wake of a report by Channel Two Monday that Mr. Ganor, who was the deal’s main broker between Israeli security officials and the German company, is in advanced negotiations to turn state’s evidence in the case. The German decision is directly related to this report, Yediot said, as the Germans have come to believe that if police have a witness prepared to testify against others, it’s likely there are major improprieties surrounding the sale. According to recent reports, Mr. Ganor is suspected of bribing Mr. Marom, with the latter assisting ThyssenKrupp — the makers of the submarines — to win the contract for the new equipment offered by the Defense Ministry, valued at 1.2 billion euros. Mr. Ganor’s remand was extended Monday for an additional four days. Mr. Marom was summoned to be questioned yet again in the matter on Monday night, Channel Two said.